YouTube channel, This Is Tech Today, posted a new finding indicating that the Google Pixel 3 could be coming out in October 4th. 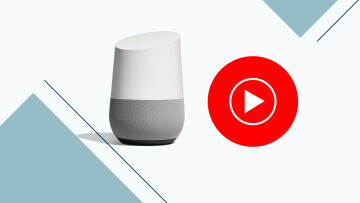 The channel has found out that a YouTube-run influencer marketing platform, Famebit, posted a new campaign regarding the Google Pixel 3. 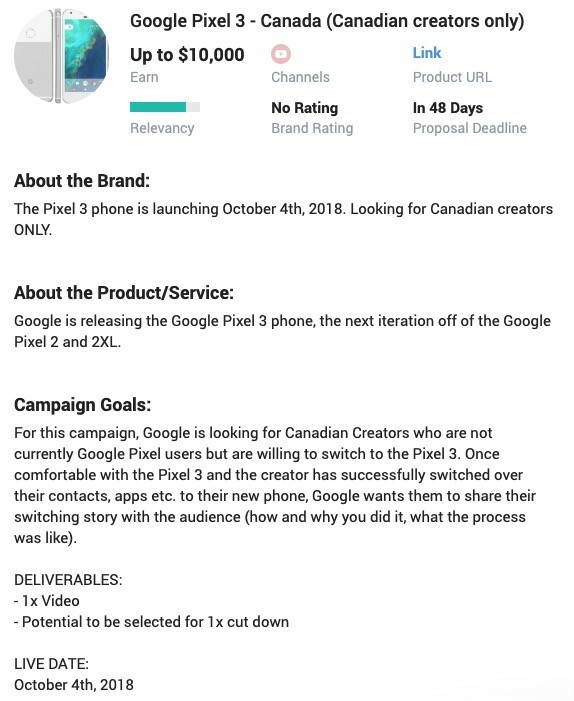 The captured webpage for the campaign claims that the Pixel 3 is slated for launch in October 4th and the service is looking for YouTube creators who want to switch from other series of phones to the Pixel 3. 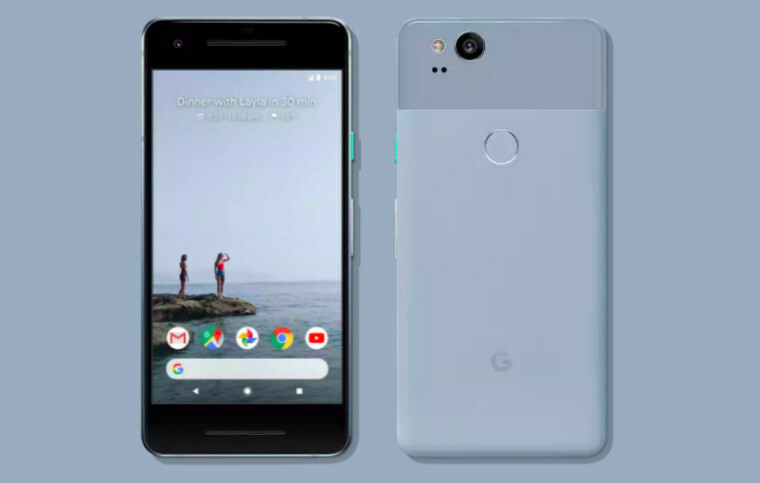 While reporting on the rumor, Droid Life pointed out that the first-generation and second-generation Google Pixel and XL phones also launched on October 4th. 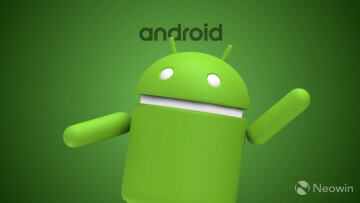 If the past history is any indication, although the Famebit webpage mentions Pixel 3 only, the XL variant might come out on the same day as well. 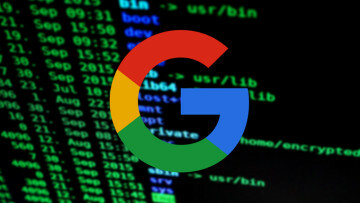 Since Evan Blass first acknowledged their existence alongside the report of the Pixel wearables in May, rumors and leaks of the Google Pixel 3 and XL have been continuing for months. The size of the phones, renders of the front and the back, and even the accessories that may debut with it were all subject to leaks so far. 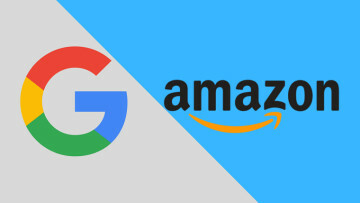 While we still have to wait for the official confirmation from Google, it is getting easier than ever to draw a potentially more concrete picture of the third-generation Pixel products.